Adobe Premiere Elements 2019 is a video editing software that lets you create quick movies from favorite parts of your clips, or tell big life stories in full-on productions. The software helps you edit video using smart, automated options, enhance your movies with pro-quality effects, and then share on virtually any screen. Adobe Premiere Elements 2019 can handle unlimited video and audio tracks, with multiple keyframed effects applied to each clip, as well as Picture-in-picture and chromakey capabilities. It also supports many third-party plug-ins for additional features, including Adobe Premiere Pro plug-ins, After Effects plug-ins, and VST effects. It can create bars and tone and a countdown leader, just like Adobe Premiere Pro. Adobe Premiere Elements 2019 also features real-time video rendering, unlike some other video editing programs, which allows the user to instantly preview edits made to the timeline. Smartphone clips. Tablet scenes. Action-cam and handheld footage. You shoot more video than ever before. Keep focusing on the memories – Adobe Premiere Elements 2019 will make them look great. Go from rough clips to incredible movies. Make movies in a snap, and add style like a pro. Premiere Elements can step you through or do it for you. Adobe Premiere Elements 2019 helps you to enhance your movies, bringing on your style with cool effects, transitions, themes, titles and more. Also it allows you to organize all your memories at your fingertips. Order, label, find and view your videos your way. 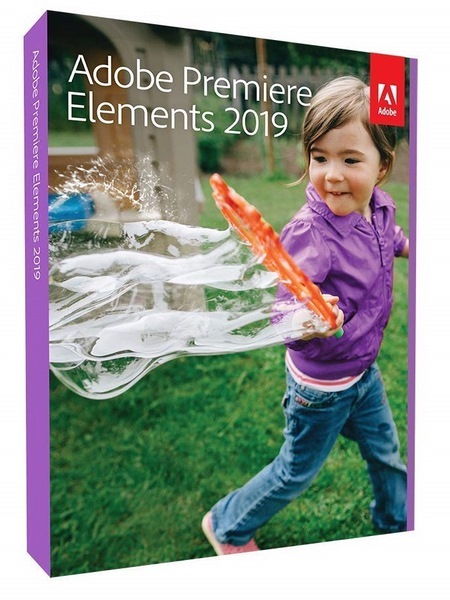 With Adobe Premiere Elements 2019 you will able to share memories on disc, HDTV, YouTube and Facebook with the people who matter most.